Whether a week’s holiday, your first family ski trip or a tailor-made, luxury Ski Weekend, when you book with Snowscape, you’ll enjoy honest, expert advice and a genuinely personal, efficient and professional service. We offer a wide selection of Resorts and Hotels with packages that include accommodation, airport transfers and the services of experienced Resort Managers in our most popular resorts. Click on the Weekly Price Guide box to view our 7-night holiday prices. 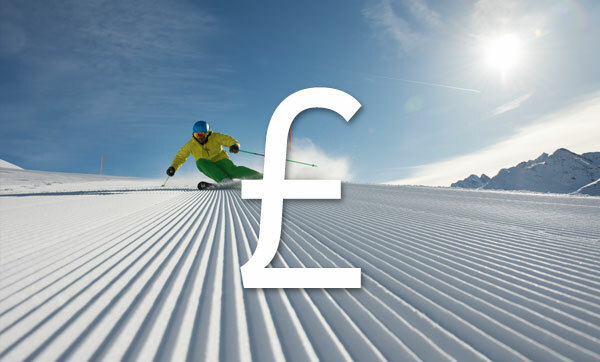 Our Ski Weekend Prices here are a guide to what we offer and all short breaks are tailor-made based on your dates, duration and requirements - get in touch for a full quote. We also offer flight-inclusive weekly ski holiday packages as agents for a select number of other Ski Specialists. Due to the number of flexible ski breaks we provide, we do not hold flight allocations. We either buy in flights to Salzburg, Innsbruck or Munich as required or you are welcome to book your own flights and we will take care of the ground arrangements. We will advise on the best flight routes, times and fares and either book these for you or point you in the right direction to book directly. Links to who flies where can be found on our frequently asked questions page. For the purposes of our price guide, return airport transfers by minibus taxi shuttle (minimum 4 passengers) are included from Salzburg or Innsbruck (Salzburg only for Zell am See-Kaprun and Saalbach: Innsbruck only for Stubai, Sölden and St Anton). Munich is available at a small supplement. A small supplement may apply for transfers with less than four passengers, coaches are available for larger groups and we also offer a direct, exclusive, door-to-door Private Transfer service. For our Private Transfer service, you will be met at arrivals with a Snowscape sign or sign with your name on it. Shuttle transfers at Munich and Salzburg require you to make your way to a central meeting point where the transfer departs either when all guests have arrived or every hour. There may be other stops en-route. You will be transferred back to the airport in good time for your return flight and you will receive a text with your pick-up time around 24 hours before travel. Save time and budget ahead by pre-booking lift passes, equipment, lessons and guides prior to departure. In our staffed resorts, our Resort Managers will pick up your lift passes and arrange your ski hire, lessons or guiding. In other resorts, we’ll send vouchers with your final travel information. Our main price list contains 6-day ski pack prices. For shorter stays, please contact us. Group lessons in Austria generally start on Sundays and Mondays with typical lesson times 10-1200 and 1300-1500. Most ski schools offer lunchtime supervision and a hot lunch for children (around €10 / day). You can book for any number of days and also half days however, keep in mind those in full day lessons tend to progress quicker. We can also organise private lessons and on- and off-piste guides by the hour, half-day or full day. There is a cost per instructor / guide plus a nominal amount for each additional person in the group. Private lessons are the best option for Ski Weekends as group lessons start earlier in the week. We understand the pressure of cost on family skiing holidays. Hotels in Austria offer generous discounts for the 3rd and 4th person / child sharing in a triple or quad room and we do pass these on. These discounts apply up to 15 years of age and vary according to the resort, hotel and the child’s age. Discounted and free passes are often available for children depending on age and resort. Please contact us for children’s prices, family Hotel recommendations and ski school advice. We offer reductions and discounts for groups, early bookers and returning guests. Discounts also apply for the third person sharing a triple room and this varies from hotel to hotel. Contact us for a full quote. Make your own way to resort by car, train or hire car from the airport and a reduction applies where airport transfers are not required. Not to be overlooked! It is a condition of booking that you and all members of your party are adequately insured for Winter Sports.